Fado, meaning 'fate', was born in the 1800s. 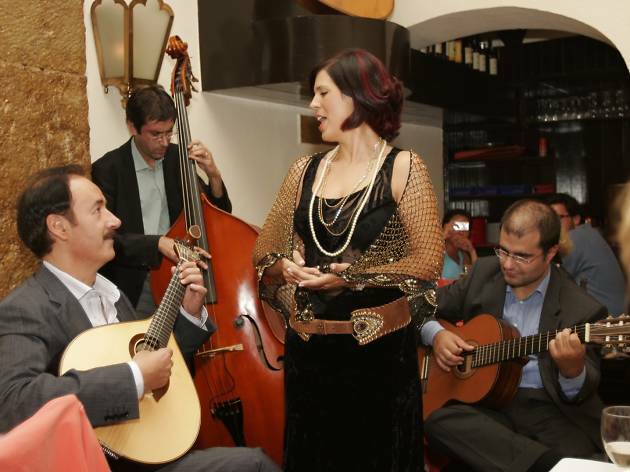 It's a mournful form of music based around the notion of longing – in fact, they say fado is a window into the soul of the Portuguese. Fado singers perform with such passion that, regardless of whether you understand the language, will have you weeping uncontrollably into your porto. The fancy tablecloths ring false but the fado is genuine, with house star Matilde Silva belting 'em out. This long-established venue came under new management in 2012, bringing better singers and food. Resident fadistas include Isabel Noronha, Marco Rodrigues and Pedro Moutinho. Owner Anabela is a local legend; the snacks are tasty and the fado seriously good. A cosy, atmospheric venue with veterans Cidália Moreira, Maria da Nazaré and guitarrista Jorge Fernando, and promising youngsters. The fado fee is €10 and a meal costs €50. Even during the week this slick restaurant fills up with tourists. A good meal without wine will set you back €50, plus €7.50 fado fee. Still, you can turn up after 10.30pm just to listen. The €35 price tag for food seems fair but, given its poor quality, is still too much. Yet the fado is superb and the atmosphere from 11pm, when enthusiasts pile in and the musicians block the door, unique. Listen out for Marco Oliveira and Sara Correia, and Ricardo Parreira on guitarra (Portuguese guitar). 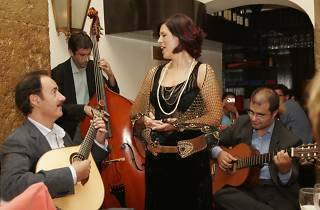 One of the few top-end venues to attract locals, with stars such as Aldina Duarte who still perform here, in the best fado tradition. It softens the blow of paying €55 for a decent meal. You never know who’s going to sing here, but the crowd is varied and the ambience great. Locals crowd this tiny tavern in Graça to drink wine, snack and either sing or listen. Come early.